This is Ily. The re-imagined home phone that connects generations*. 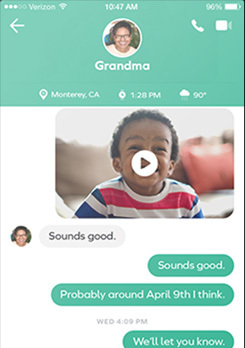 So simple a toddler can video call her grandma. 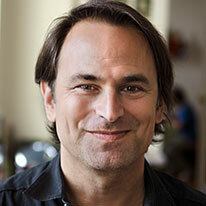 We built Ily to intentionally do less. No complex account creation or layers of settings. Just your cloest family members available at the tap of a finger. It’s one dedicated device that’s safe for the whole family. With no distracting apps, browsers, or games there’s no need for constant supervision. Whether you’re a working parent or just don’t want important content in the hands of a toddler, Ily puts your device back in hand and keeps the power to communicate in theirs. give everyone the power to stay connected. 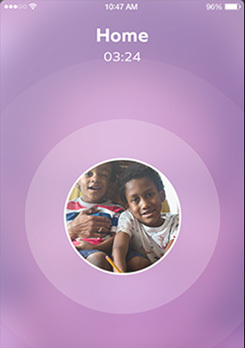 Ily Is A Modern Family Phone To Stay Connected With Your Family. 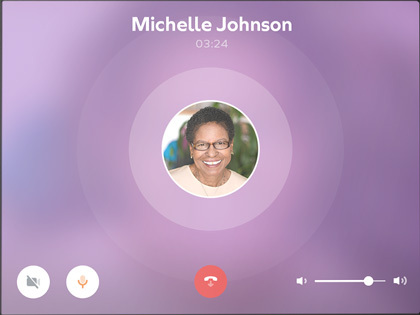 Videophone lets kids call Grandma but not surf the web. Connecting to a family member is as easy as tapping her avatar on the touchscreen. Ily makes it easy for families to stay in touch, may signal how technology will develop in the Internet of everything. 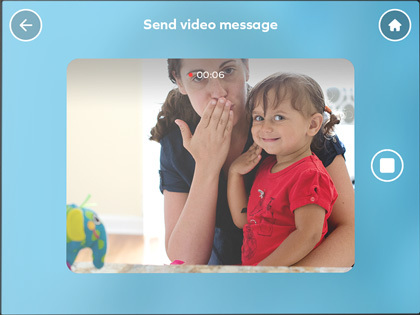 A new startup called Insensi aims to simplify the kiddie communications conundrum. Ily is for the whole family. Charlie isn't old enough to send messages, but he and his uncle can still stay in touch anytime. 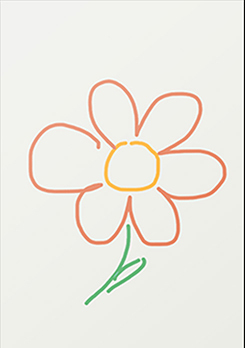 Charlie draws pictures on his Ily, and sends them to Uncle Dave, who checks them on his cell phone. You should hear Charlie's laugh when Grandpa makes silly faces. But neither has a cell phone or a computer. 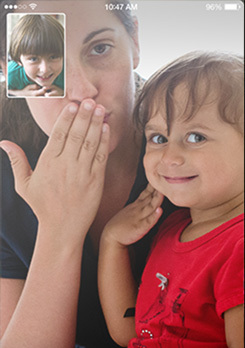 With their Ilys, they can now make each other laugh face-to-face in video calls. Grandpa's sister Sophie lives overseas and is always on the go. With the tap of a button on Ily, he can call her cell phone to catch up on life while she's catching cabs across Paris. 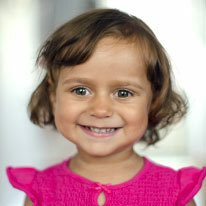 Sophie is a Parisian pastry chef, her granddaughter Kayla loves to look at pictures of her cakes on mom's phone. With Ily Life, Sophie can post pictures from her tablet that Kayla can see on her Ily anytime. Kayla is just getting the hang of writing, and her five-year-old cousin has started reading! Without begging mom to use her phone, she taps his picture to send him a message from her home Ily to his. When Dad has meetings in Japan, the time difference is huge! 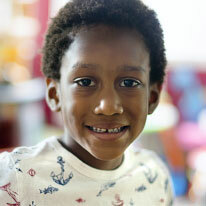 His son Jamaal records video messages on his Ily that dad can watch on his laptop between meetings. It helps them stay close, even from far away. No internet browser. No unknown numbers. And plenty of parental controls. Ily connects to family and friends - and nothing else. Setup is a breeze. You’ll be up and running in under 3 minutes. Find somewhere in your home and choose an orientation: upright or lying flat. Plug the device into power and follow the simple on-screen instructions. Add your family members manually or seamlessly by downloading the Ily app. 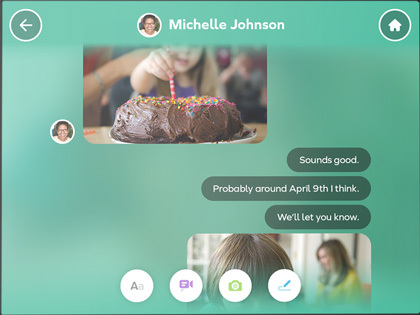 Simply tap a family member to start messaging, video chatting, and more! 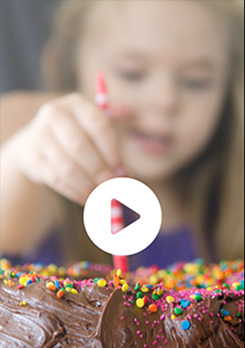 Talk face-to-face to capture special moments live with stunning, lightning-fast video and no delays. No time to chat? 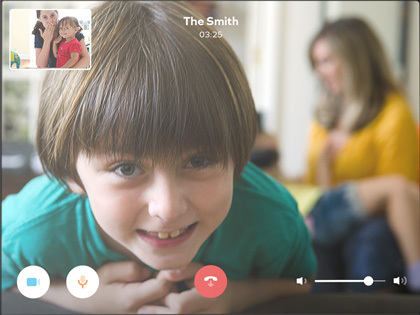 Record a video message with the front-facing camera for your family to play later. 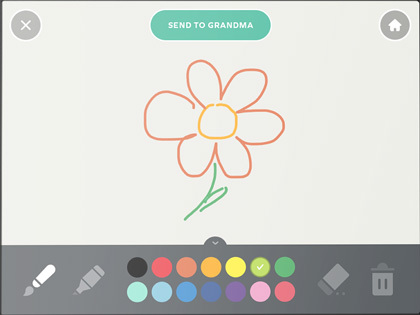 Even little ones who can’t write yet use the drawing tool to send colorful artwork to loved ones. 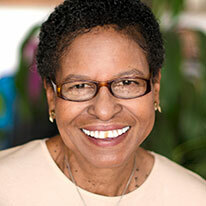 Send special notes and photos to family members on the go, or to other Ilys with free text messaging. 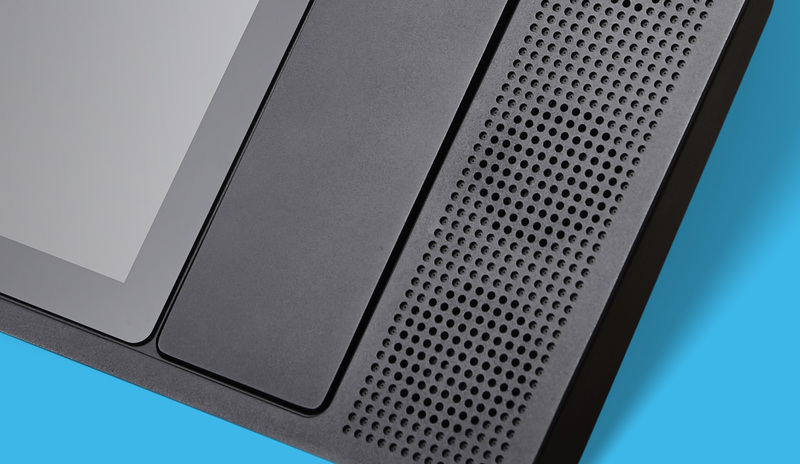 Stereo speakers and a full-range microphone bring crystal-clear audio to live conversations. Detachable handset takes calls to any room and comes in several colors. Stand it up or lay it flat. We designed Ily to be a stationary device. Always on, always connected.